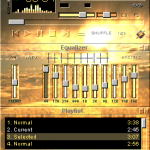 Skinamp is a Windows program, which allows you to automatically generate a classic skin for Nullsoft Winamp, compatible with other popular players like XMMS or Audacious. 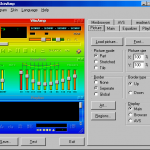 The program takes a source image file, like bmp or jpeg, and generates a matching Winamp skin, either as a folder of bitmap files for post-processing, or as a final Winamp-Skin-Zip (WSZ) archive. Skins can be saved and loaded in an internal format to allow continuation of work. As a nice bonus features, previous of the current skins can be exported as an image file. 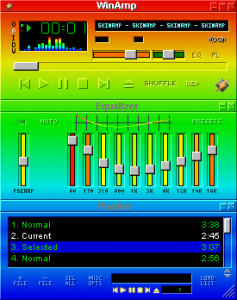 The program skins nearly all; main, equalizer, playlist, mini browser, avs, and the config files (viscolor, regions, playlist, readme, …). 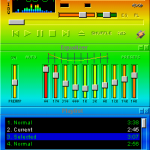 The source image can be transformed and resized to match within Skinamp. 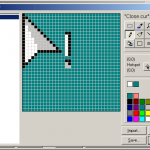 The internal regions editor allows for non-rectangular windows and with the cursor editor you can create custom cursors. Skinamp has been translated to 33 languages by the community: English, Bosnian, Catalan, Croatian, Czech, Danish, Dutch, Estonian, Finnish, French, Lithuanian, Spanish, German, Portuguese, Norwegian, Russian, Hebrew, Tagalog, Swedish, Lithuanian, Indonesian, Slovakian, Slovenian, Turkish, Magyar, Macedonian, Polish, Latvian, Simple Chinese, Galician, Albanian and Italian. 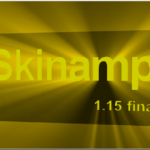 Skinamp 1.15 is the final version! There will be no more bug fixes, improvements or language updates! Skinamp is copyright (c) by Sascha Hlusiak, 2002. 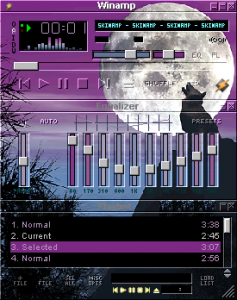 Skinamp is written mostly in Borland Delphi 5, using a helper library written in C++. The final version contains about 12000 lines of code, parts of it can be obtained on request. German and English languages were provided by me, the other 31 languages were supplied by the community, since Skinamp used a simple text file to translate the user interface. 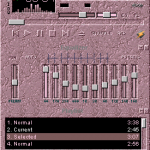 I started working on Skinamp in late 1999, first versions being available early in 2000. 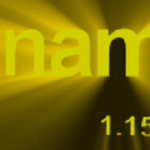 After Skinamp was officially mentioned in the Nullsoft Developer Network (NSDN) on September 28th, 2000, it got a steady download rate of 200 per day. With Skinamp 1.15 final, the last version was released on August 28th, 2002. 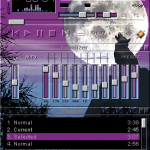 It got more than 200000 downloads and I received more than 1000 emails about Skinamp. 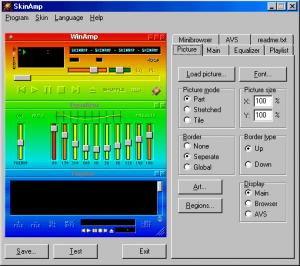 Numerous skins were created with this tool, swamping the skins download section of winamp.com, which once only had unique and high quality skins.